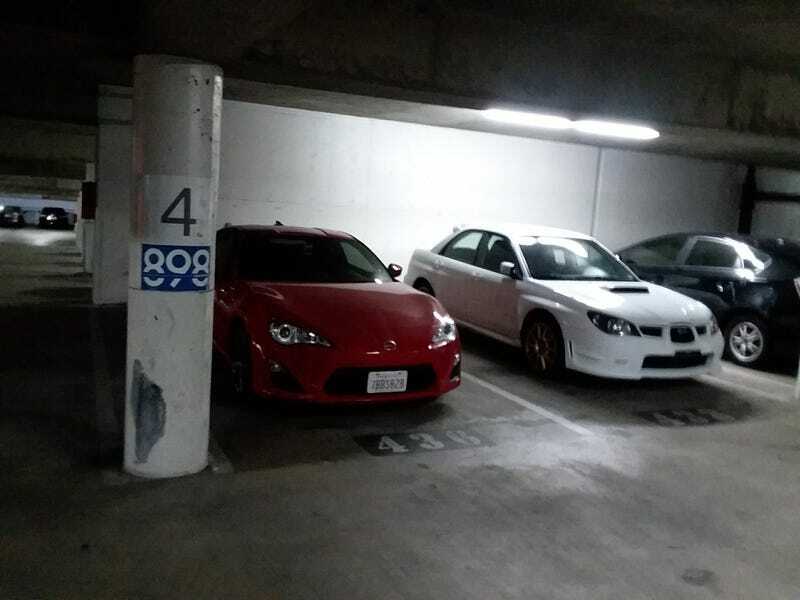 Yeah its actually an FRS but I mean the car is mostly Subaru anyways. I always try to park next to other fun cars at the airport. I figure it reduces the chances of my doors having giant dents in them. Although just my luck, the next guy to show up will be in a Camry and just decide he needs to pop his dent cherry. I tried out a new parking garage since the shuttle for the other one was pretty terrible. This one at least was nonstop and the garage was a little less “sardine packed tight”. Same price, similar distance, and I’m not paying anyways, so I might as well test out the waters. I think in general it sure beats parking outside in economy parking, at least I’m not subjecting my car to that! Also, had some wonderful brisket, pineapple ham, and beans from Lockhart smokehouse for dinner. That place is awesome! Well worth the 30 minute wait to order. If you’re ever in Plano, TX I recommend it for sure!